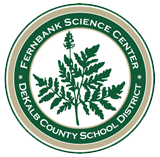 The DeKalb Elementary Science Olympiad (DESO) is an excellent activity for kids who like science. Students in grades 3-5 challenge themselves to complete a variety of science activities involving tests of knowledge and measurement skills. The day begins with a parade, and winners get medals. Our tournament is a Regional Qualifier – top teams will advance to STATE! EVENTS: We have 26 events for 2019, several of them brand new. Some vary from the official manual, so coaches and participants should only use the event descriptions that we provided in our 2019 Event Packet. PRACTICE and HELP: Fernbank Science Center produces Practice Tip Sheets for some events (see link below) and hosts several free Practice Sessions for others. At the Practice Sessions, students can learn about event details or get some assistance making competition items. Sessions are limited to registered teams and distribute all information about these through your team’s Head Coach. Practice Sessions take place at Fernbank Science Center on selected Saturdays during February and March. At least one adult (either a teacher or parent) must accompany team members. PARTICIPATION and REGISTRATION: This event is open to elementary students attending school in DeKalb County, GA. All students must participate as a member of a team, typically school-based. Registration is required for all teams. DeKalb County public schools receive priority, participate free of charge, and may bring two separate teams (up to 30 students total). As space allows, private or home school groups may participate for a $30 registration fee. Contact the Olympiad Coordinator directly to see if slots are available. KICKOFF MEETINGS: We held two Kick-Off meetings in November of 2018. If you missed these and would like information about joining our event, please contact the Olympiad Coordinator directly.